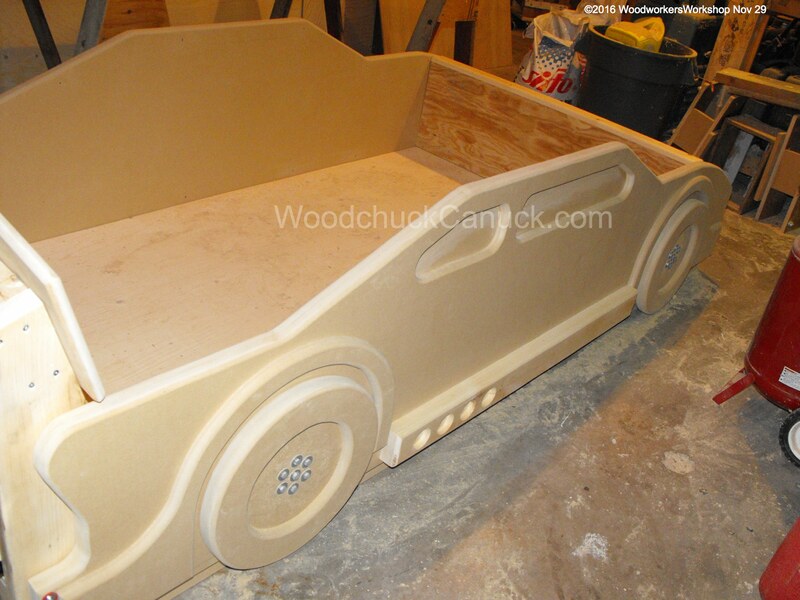 I completed this race car bed today. All total, this project took about 15 hrs to make. A lot more than I expected, or budgeted for. But that’s how we learn. Would I build another one? Maybe. The MDF material is really not something I care to work with again. In this video I show how to rough cut the car panels and once cut, then a short discussion on what will be done with them and what is coming up next.